Home » tonsillectomy » Does Tonsil Removal Negatively Effect a Person's Body/Immune System? Does Tonsil Removal Negatively Effect a Person's Body/Immune System? Tonsils are basically lymph nodes that are on the surface (of the mouth) where they can be seen. Most lymph nodes are located under the skin where they can be felt, but not directly visualized. 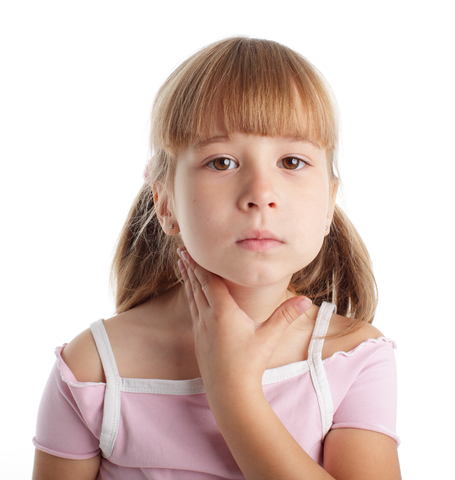 As such, tonsils are part of the body's immune system which helps to guard against infections. Indeed, tonsils are known to produce antibodies. So this begs the question of what adverse effects may result from tonsil removal? If there are any negative effects, how severely is it impacted? What part of the immune system? Between 1971-2014, 35 research studies were performed to try and answer these questions. Collectively, 1997 patients were included and meta-analysis performed. The ultimate conclusion was that tonsillectomy surgery does not cause any immune system harm. The studies were performed by obtaining a large variety of immune function testing both before and after tonsil removal surgery and see if there's any significant change. The tests obtained included antibodies (IgG, IgA, IgM, IgA), complement system factors, and cellular immunity. Only 4 out of 35 studies involving 406 patients suggested a possible negative effect on antibody levels produced by the immune system (significant decrease in antibodies after tonsillectomy). However, it was felt that this decrease rather than signifying an iatrogenic immunodeficiency, was more a reflection in the reduction in antigenic stimulation (given chronic tonsillitis was the most common indication for tonsillectomy). Basically, by removing chronically infected tonsils, there was less need to produce antibodies given the germs are now "gone" much like how the US military would reduce the number of soldiers in active duty during peacetime vs during war. Perhaps the most provocative study to prove that removing the tonsils has no affect on the immune system is the incidence of graft vs host disease as well as infection rate in patients who undergo tonsillectomy prior to bone marrow transplantation. It was interesting to see that tonsillectomy had absolutely no impact given the studied group is quite vulnerable from an immune standpoint. However, a study published in June 2018 suggests that there IS an increased long-term risk of upper respiratory, infectious, and allergic disease. This just goes to show that this surgery should be performed only when it is truly necessary and not when the condition is not too severe! The role of adenotonsillectomy in graft-versus-host disease. Int. J. Pediatr. Otorhinolaryngol. 76 (1) (2012) 57–60.